Emma Beckman, daughter of Dan and Meg Beckman, is a senior class officer, an officer of the National Honor Society and a varsity club officer. She is a member of several student organizations: Art Club (2 years), Varsity Club (2 years), class office (2 years) and National Honor Society (2 years). Emma has been a member of the THS softball team for 3 years and has received the softball mental attitude award. Her hobbies include spending time with friends and family, working out, and playing the ukulele. Emma plans to go to Lake Land College and transfer to a 4-year university. She is undecided of what major she will pursue. Max Ruholl, son of Kevin and Amy, is also a senior at THS. He is the band president. Max has been a member of band (4 years), Math Club (4 years), Drama Club (4 years), National Honor Society (3 years), Spanish Club (1 year), Art Club (1 year), and WYSE (1 year). Max has participated in Tennis (4 years) and Golf (2 years). Awards that Max has obtained includes: All-State musician (1 year), All-District musician (2 years) and Best Drum Major in the Vandalia parade. Max has also been on the high honor roll every quarter in high school. Max’s hobbies include reading and hanging out with friends. After high school Max plans to attend a 4 year university and major in the field of music. 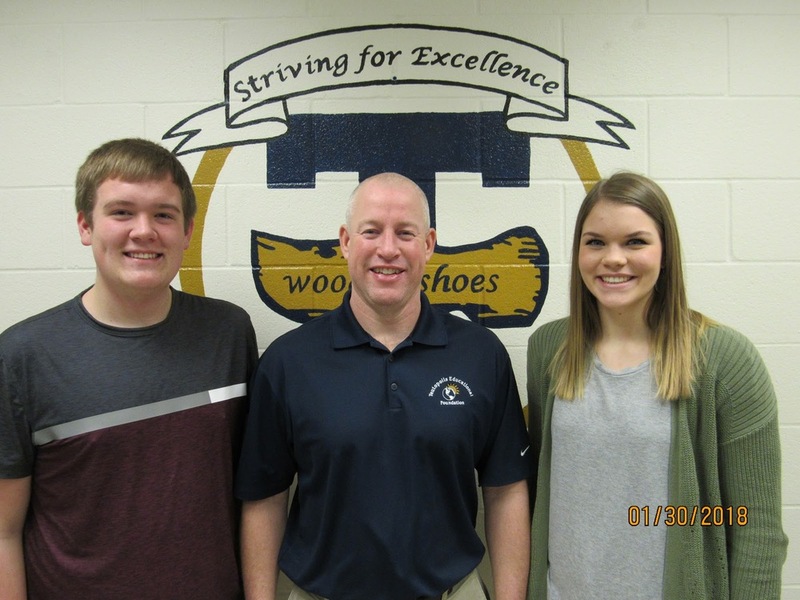 Max Ruholl and Emma Beckman were recently named the Students of the Month for February at Teutopolis High School. For each month during the school year two upperclassmen are nominated by their teachers and then selected by a committee of faculty members based on their participation and their dedication to Teutopolis High School. In addition, these students have done well in either academics, sports, leadership, and/or extracurricular activities.